« 3rd Annual Great Guys Dinner in Baltimore! 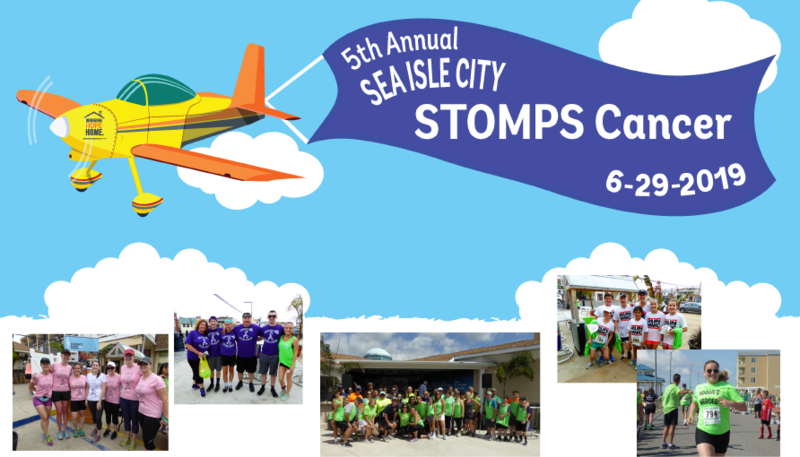 for the 5th Annual Sea Isle City STOMPS Cancer 5K & Family Walk, presented by LaCosta! We are anticipating over 1,000 STOMPERS joining us this year! Calling all individual runners, walkers and teams! Because of you, we can provide UNEXPECTED AMAZINGNESS to Families battling cancer. Your donations and sponsorship dollars make a difference in the lives of those currently undergoing cancer treatment throughout our local communities. To register and for more details, click on the button below. All are welcome to come back to LaCosta after the race for awards, raffles, music and more! It’s a party you won’t want to miss! < 3rd Annual Great Guys Dinner in Baltimore!